Want to know how to dress like a preppy guy? What are the preppy outfits for men? What accessories are perfect for him? This article from Outfit Trends will clear up these issues and give you some fantastic tips and pointers on how to gain that perfect preppy guy appearance. Preppy guys always have the suave and classic look about them. They will always be clean shaven and dressed to impress so you will never come across a preppy guy who has that scruffy ‘just got out of bed’ look going on. The same as preppy girls, the boys will also shop at Ralph Lauren, Vineyard Vines and Louis Vuitton. Preppy fellas will usually be seen out on the boats or on the tennis courts enjoying the weather. Knee length shorts are a favourite in the male preppy scene and they tend to venture more towards the pastel colours such as pale blues, greens and salmon pinks. It is a must that shirts and shorts are made from high quality fabrics and have a clean crisp finish. Any poorly ironed garment or clothes made from cheap tacky fabrics looks shabby and sloppy. Blazers are an ideal fashionable garment for any preppy lad. They add a sense of sophistication and grandeur to any outfit. These too must be pressed properly and, if possible, accessorised with appealing and classy patches which denote education and promote sports. Remember though, quality comes at a price so do not go skimping, however to the preppy guy this is never an issue. A must have outfit accessory for the preppy chap is a high quality belt. Most outfits will consist of pale shades and with white being the favourite of colours, a darker coloured belt will break up too much of any particular tone. Once again quality is essential so a good sturdy leather belt or classy canvas ones are great additions. Hair should be immaculate and groomed accordingly. 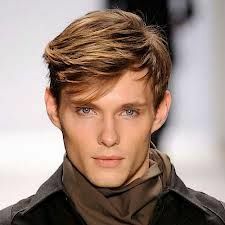 Styles such as the quiff and sleek side parting are both commonly seen styles amongst the preppy guys. Preppy lads can get away with the ‘fluffy’ look but this too must be done appropriately and in such a way that does not ooze laziness. Perfect shoes for Preppy Men. Very similar and in keeping with the girl’s footwear, a good, refined pair of boat shoes are a great preppy shoe. Sophisticated and hard wearing they are the perfect shoe to have during the summer weather. Another frequently seen shoe for the preppy fellow is the elegant brogues. Use these tips when putting together your preppy guy outfit. 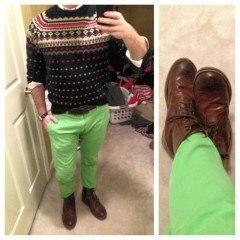 Even though it comes at an expense, the preppy guy is guaranteed to be noticed everywhere he goes. Let’s see some of the sexiest preppy guys look. You can get lot of ideas from these pictures and you can create your own preppy outfit combination. If you are looking for a preppy spring outfit that you can wear at the beach very comfortably then this outfit idea is the right on for you. All you wear need to wear is a dull colored button shirt with shirt jeans and wrap everything up with cool slippers. Couple outfits are all about matching. Wear the kind of a pattern or color that your partner is wearing too. You can match the colors of your dresses or you can match the patterns for example plaid pattern is very common in a dressing of girls and boys and it will be really easy to find matching outfits in the plaid pattern. Do you remember those sweaters that cricket players used to wear on their test matches in 90s? You can wear them too when you are going to play any sport. If maybe a little difficult for you to find them in the market but I am sure that after some hard work you can find them. Wear those sweaters with shorts of either the same color or contrasting color. Ombre colors are so into fashion these days. Everyone including boys are inclining towards ombre colored coats, shirts or shorts. Take a look at this dude who is wearing a cool blue ombre coat with blue shorts and not to forget the perfect preppy hairstyle. If you are into thug life and want to look like a thug too, then we have one simple trick for you. Just wear a long or short necklace with a cool pendant on whatever you wear. This will make you look like a thug instantly. For those dark colored dudes out there, it’s time you embrace your natural color. Wear a bright colored jeans like orange, red etc with the fitted black coat. This will make sure that you look smart and graceful without looking too serious. This combo is the go – to kind of a perfect combo for guys out there. Just pair up your favorite plain shorts with any denim top and hit those BBQ parties with your friends. This is NOT PREPPY….where is L.L. Bean? where are the nantucket reds from Murrays? Where is the navy blazer from Brooks Brothers and their classic OCBD’s? This is wanna be fashion preppy. Far from New England heritage preppy born families who went to Prep schools and private schools. Stick to your jeans and flip flops….Preps never wear jeans nor combine an outfit with flip flops….Did you forget about your vans or converse? Yeah we never wear those either. Kids, stick to Weejuns, Brooks Brothers, L.L. Bean, some of Ralph’s Polo, Lacoste polo’s only. and KHAKIS ONLY!!!!!!!! Thank you! I’m surprised you couldn’t hear my eyes rolling as I read this “article.” I love how the author says preps are clean shaven then, later, mentions how best to wear a beard. And some of the featured outfits were so far from New England prep, I thought for a moment that the article was a poor attempt at satire. These are crazy looking “preppy” styles for guys. Sorry, but I think you’re mistaking “trendy” for preppy. No guy is going to wear a jacket or pants that look like he wore them in middle school, and outgrew them years ago. The sleeves on the jackets are too short as well as the pants. Plus the clothes are so tight, they pull in the shoulders, which looks well….. Crazy. I hope this trend passes quickly.